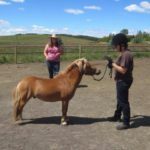 The first year of Miniature Horsemanship has been an eventful one! 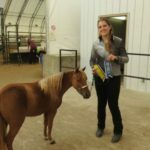 It started with the rebrand to Miniature Horsemanship, and the launch of the new online classroom. Five online courses followed, as well as the private community (which I love!) and lots of articles and other content. 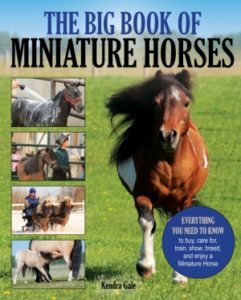 2017 is the year The Big Book of Miniature Horses came out, which is, of course, super exciting! 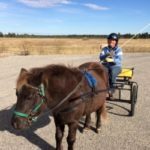 There was also the workshops in conjunction with Horse Powered Connections, that were such a fun and rewarding adventure, in addition to all my usual lessons and clinics. Rocky finally made his driving debut, at my first driving trial in a few years, which had been a great goal of mine, and despite the muck and mud we had a great time and a couple very cool dressage scores. I continued using more and more positive reinforcement in my training, which has been very rewarding, for me and for my horses. I added a miniature mule to the equine family this fall, and Bentley is already a super fun adventure and I can’t imagine the herd without him. For me, though, despite all that good, 2017 was mostly the year that I treated Valdez every 4 hours around the clock for weeks, thinking that he wasn’t going to make it (he did though!) It was the year I treated Vodka’s eye around the clock for weeks, only to have him injure the other eye, develop a melting corneal ulcer, and require hourly treatments for weeks on end to save his eye. It was the year a very random injury ended Rocky’s show season right at the beginning. 2017 was a lot of vet bills and stress. It was also the year I stepped away from my “real” job, trying to make it just on my teaching income. I still think it was the right decision, and that ultimately it’s going to work out, but it was a pretty tough, stressful year, money-wise, especially when I had to cancel lessons because I needed to be home for Vodka’s hourly treatments. Trading income for vet bills isn’t really a sustainable situation, but you do what you have to do. But it was a year of learning, experimenting and refining what it is I really want to do with this business. I learned so much about the technology involved in creating an online classroom, and more importantly, how much I enjoy the process of creating content and putting together courses. In 2018, I’m definitely going to redouble my online efforts. While my computer was down these past few weeks I watched lots of webinars on my phone, adding new tools to my online teaching toolkit, and I’m excited to implement them all. 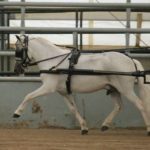 I look forward to horse activities in 2018 as well, and am keeping my fingers crossed that I will be able to afford to show a bit more, but regardless, I’m getting back to my passion this year, which is the process of developing a driving horse. I want to start Johnnie in harness, and he’s going to drive bitless. I want to drive Sonic single, and in tandem. I want to make a fancy pair with Sonic and Des, and hopefully hook a four in hand. I want to give Rocky another chance at a driving trial, or two. The main new course you can expect in the classroom will reflect this focus on driving. Ever since I started planning the online classroom, this has been the course I wanted to create. I haven’t decided what to call it yet, but it’s all about helping your driving horse be the best they can be. It’s my passion project and I’m super excited to get started on it. I’m also hoping to expand my spring clinic at Horse In Hand to a full “Miniature Horsemanship Symposium” with multiple speakers in addition to driving lessons, and I have lots of other fun stuff in the works for 2018. A huge thank you to everyone who’s been a part of this adventure with me! I think you accomplished a great deal last year.I am looking forward to HIH clinic.Please keep me in the loop.I am taking a year off from showing and going to concintrate on getting more confident driving and doing ACDA fun stuff.Also more clinics. You have had quite a year! I am grateful for your book as the information is more up to date and accurate than what was previously available. Be sure to provide information on your activities (symposium especially) early in the year as some of us in the US might attend if we can make it “affordable”. You are an inspiration and I look forward to more in 2018! Happy New Year!